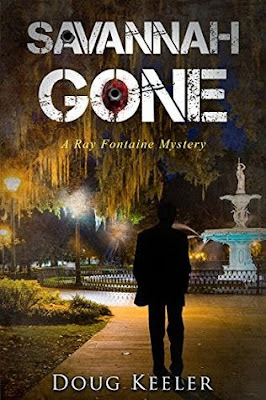 The Wild Atlantic Book Club: "Savannah Gone"
Savannah Gone by Doug Keeler is written in the first person, and at times that can be a bit off putting...but once it got moving, things really began to move along. This is not a complex mystery/thriller, so you don't need to focus and concentrate to understand the flow of the story, which makes it a good read before bed. In saying that, the story line was interesting enough to hold my attention and at times kept me reading long past my bedtime! Set in Savannah, Georgia, its the story of PI Ray Fontaine who is after a missing marine biologist named Claire Robertson. The story had well developed characters, rich descriptions and a main character that was both interesting and likeable...if not a bit subdued. The story never stops moving -- as I found myself dying to know the outcome.